Well I have no idea where December went! We are officially almost into the new year and I am excited to see what 2019 brings! So, here’s to hoping we go on more random adventures, see friends more often and hey maybe I will even sleep more (ha)! I am pretty excited about all the treasures I have been working on! 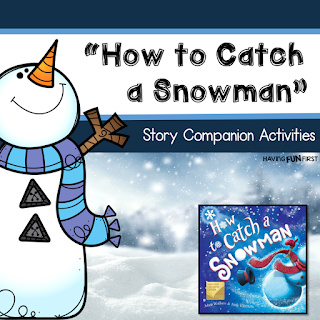 Early in December I posted my “How to Catch a Snowman” STEM and book companion activities. We did the STEM activities with our big buddies and it was one of my favorite teaching days ever. The kids had a blast. 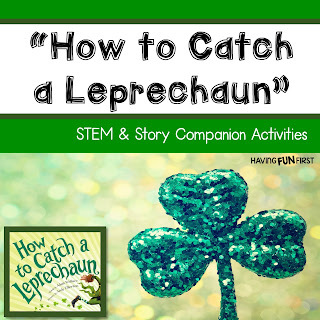 “How to Catch a Leprechaun” to do this spring. You can check out both units in my store by clicking the product covers. I am absolutely in love with gingerbread books so we compare and contrast, sequence and analyze story elements with a variety of stories. 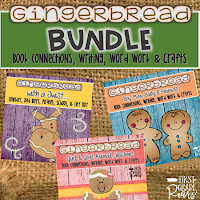 I use Megan Mitchell’s from First Grade Roars amazing “Gingerbread Unit” to help with all these pieces. We also so much fun doing gingerbread math, science, reader’s theatre and writing! 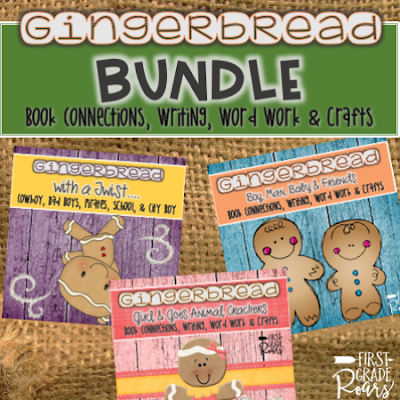 Using my Gingerbread Fun Pack and Gingerbread Narrative Unit! The kids loved creating their own version of the gingerbread man story. They get so creative. I even picked up one of those GINORMOUS cardboard gingerbread houses for the kids to decorate. We used it as a prop for the reader’s theatre and they could earn time, for on task behavior, to work or read inside of it with a friend! BONUS! Connect with me & a FREEBIE! 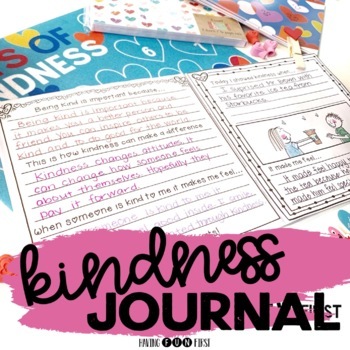 I love to stay connected beyond the blog with fun teaching tips, FREEBIES (only for subscribers) and the occasional parenting/teacher blunder HA! 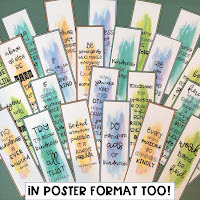 This month I created these fun and super helpful STEM posters. I made them in B&W, color and with and without guiding questions. 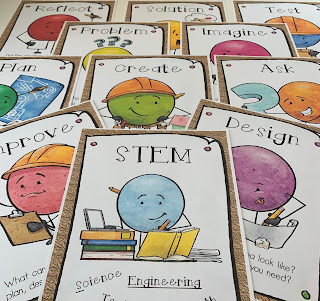 They are perfect posters to display in the classroom as you head through the STEM process. 11 posters 4 different options is yours for FREE when you subscribe! Just Click the Image Below for your FREEBIE! As we get ready to head back to school I of course start thinking about that first week. What can I do differently, what worked last year, how can I spice it up, etc. 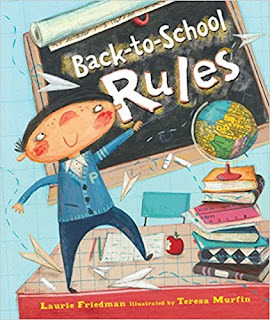 One activity that always makes the schedule of course is to create our classroom rules or expectations. I typically read aloud a story all about rules like "No David" or "Officer Buckle and Gloria" they all focus on the no. So our great list making conversations always end up with a lot of "Don'ts." So. 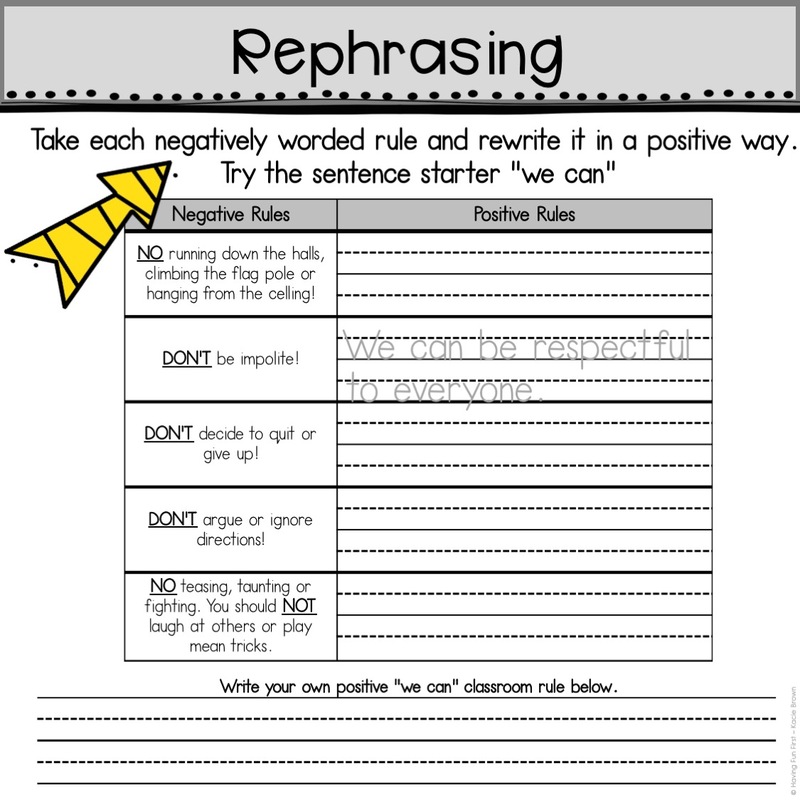 this year I decided to give my kiddos some more in-depth work on rephrasing our statements from negative to positive. We will be focusing on what we can do while implying the can't do. I discovered a fun book at my last library visit with the boys. It was called "Back-to School Rules" by Laurie Friedman. If you have read it you are probably thinking, well it is FULL of don'ts. Well you are right it is... the perfect book to practice on. I also LOVE that is it full of silly don'ts, for example, "don't slither on the floor" or "don't whistle, burp or bite." You and I both know those do come up at the carpet and we have to pause and "mini lesson it up" on what common sense means. 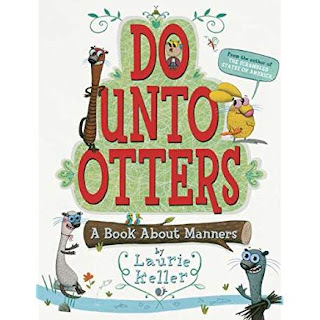 This books helps to get some of those silly, crazy rules out of their system at the appropriate time and helps to not detour the good conversation following the story. I chose a handful of negatively toned rules from the story and made "I can" rules that featured the same outcome, but in a more positive light. 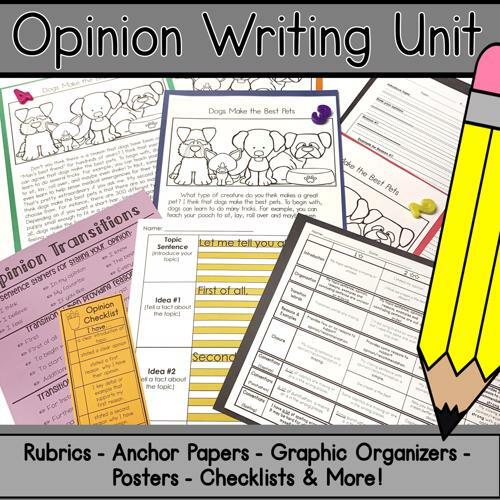 I then created mini posters for sorting whole group or in small group. I also created a few activities that allows them to practice rephrasing, making up their own "I cans" and then a fun craft to present them. 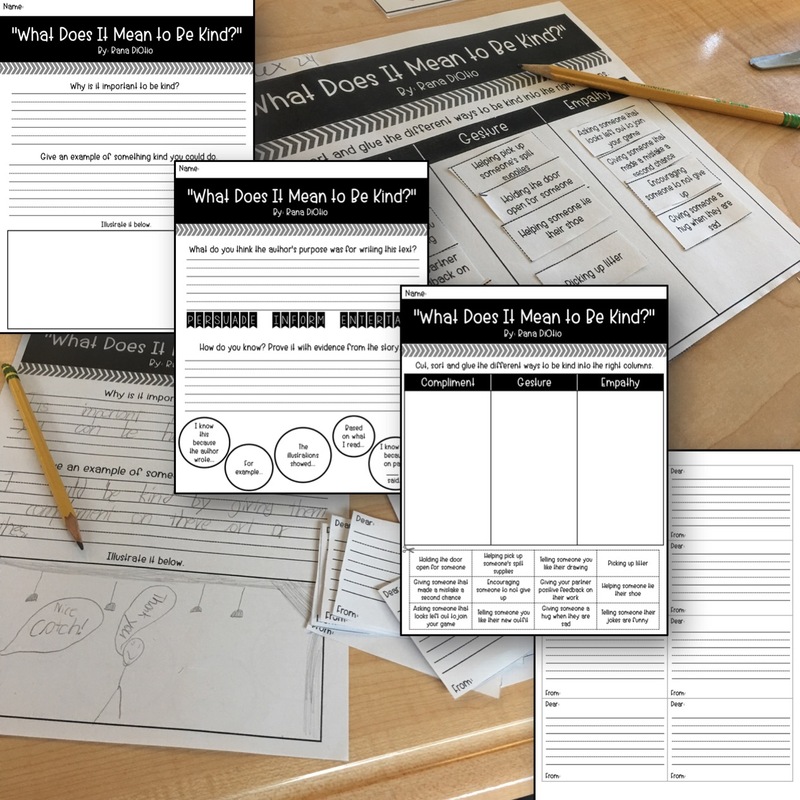 I also made a few comprehension activities to introduce author's purpose and review main idea, setting and supporting details. 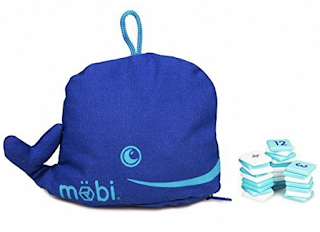 Click here to check it out in my store! I really love creating my classroom expectations with my students. If you haven't already started doing that, I would definitely recommend trying. There is so much more buy in and they truly do have great ideas, even if the occasional "don't cut your hair" or "swing from the lights" does come up as suggestions. Ha! We can try our best and work hard. We can be kind to others. We can be good listeners to others. We can make safe choices. Of course each year has variations, but usually very similar. If my kids keep coming up with lists like this it feels like a win to me. Cheers to another great upcoming year! My school community has always done a good job of promoting outreach projects, but to ensure that kids are really taking away all that they can we need to provide more deliberate instruction on what it means to be compassionate and the impact that just one person can have. I have always loved doing community service projects within my room such as food drives, various clothing drives and a favorite of mine, the craft kits for our local children hospital. Many of these units in my room have been inspired by school fundraisers, but not until I took the time to deepen my student's understanding did they feel compelled to fully participate. When children realize that you believe that they can make a difference, their ideas are so priceless and incredibly kind. They just want to do it all. There is nothing like the innocent, raw compassion of a child. We all know that. 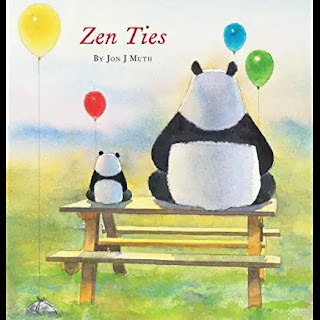 I decided to take my compassion projects to another level by finding literature to better provide my students with an understanding of the issue/problem we were focusing on. I also created shared reading activities and fun extensions with science, art and when applicable math. 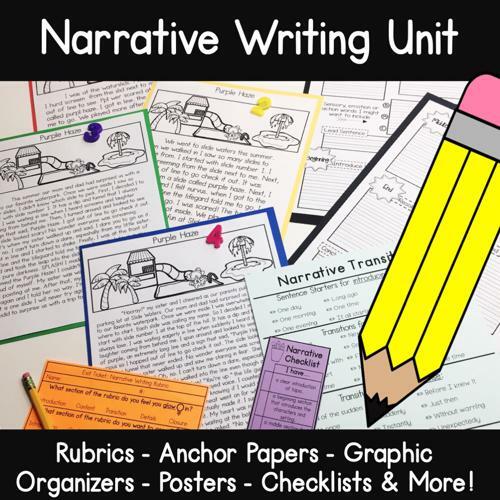 In the unit there are additional resources to extend learning and fundraising ideas as well. My first unit is focused on water conservation inspired by the book "The Water Princess" by Susan Verde. 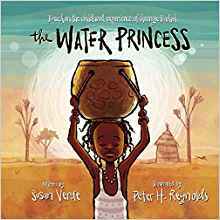 The story is about a young child in Africa, who walks for miles each day to retrieve water alongside the other girls and women of her village. After I initially read the story I found out that it was inspired by the childhood of super model Georgie Badiel. 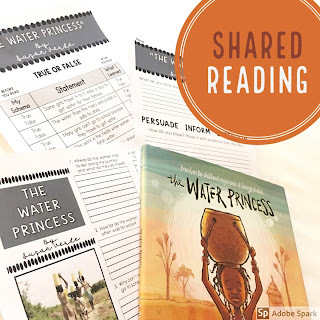 Georgie partnered with the author Susan Verde to bring awareness to this struggle and inspire people to contribute to her foundation that helps to provide access to clean drinking water and sanitation for the people of Burkina Faso. I was so inspired by this that I decided to donate 50% off all sales of this unit to her foundation. 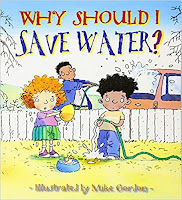 I also added the realistic fiction story "Why Should I save Water" by Jen Green. This story shows kids real life changes that they can make in their everyday lives to help conserve water. Through small actions they can make big impacts. 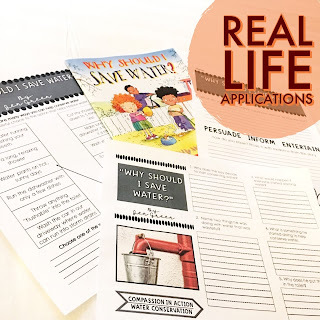 After each of the read aloud books I created different comprehension activities to work through with my kiddos. Author's purpose, schema, sorting and text evidence are a few of the highlighted skills. 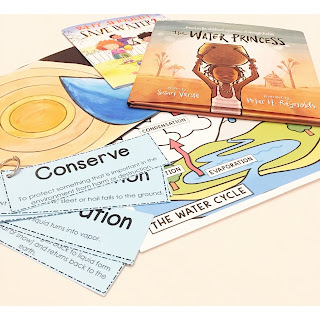 Once kids have a deeper understanding of the text we explore further with the water cycle showing how long it takes for wasted water to make it back through the cycle into a useable resource. My favorite part of this unit is the extensions into our greater community such as fundraising to help build wells in less fortunate areas of the world or walking a mile or two to help my kids take a glimpse into what some women and children do each day to find water. Check out this unit in my store by clicking on any of the images below. I hope this inspires you and your kiddos! 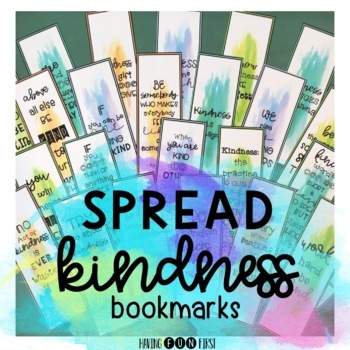 I don't know about you but I have always had one main rule in my classroom and it is to be kind to others. 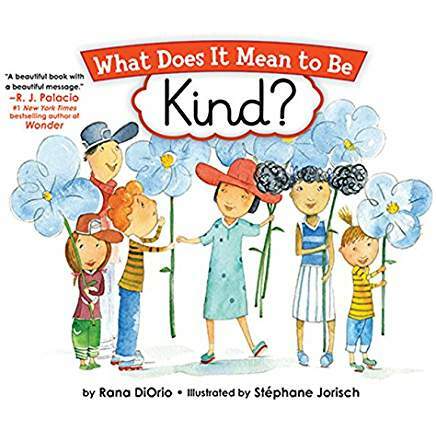 Even more so now do I want to make sure my students understand not only to be kind, but why and how we can be kind to others. 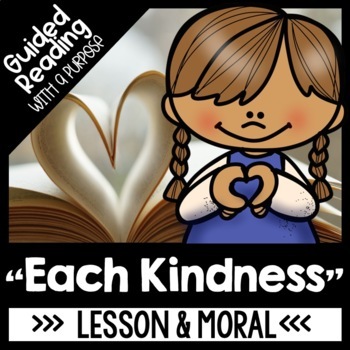 We have a decent social skills curriculum in our district, but I wanted to be even more intentional with the teaching of kindness and compassion. So I did some digging and found a few great books that spoke to kindness and what it means to be kind. 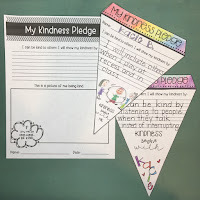 After reading “What does it Mean to Be Kind?” We brainstormed what types of things we could do to show kindness. As well as what it doesn't mean. Later, I did another mini-lesson on each of the 3 focuses of compliments, empathy and gestures. 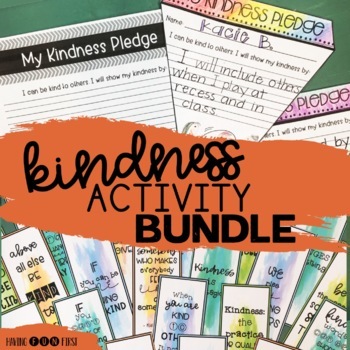 My kids did so great with the activities I created and the discussion was so great I decided to take it further in action based kindness. I introduced the compliment bags to my students. I passed out compliment sheets to each student so they would have enough to write a compliment for everyone in the class. We also talked about what a meaningful compliment sounds like and feels like. I also provided compliment starters for my kids that might be stumped. My kids wrote 2 compliments each day to their classmates. You can spread this out however you would like. My kids were begging me to write more and wouldn’t let a day pass where we didn’t write compliments. I wouldn't let me kids open the compliments until the last day, this is also a choice you can make. I just wanted to make sure that each kid had the same amount when opening. 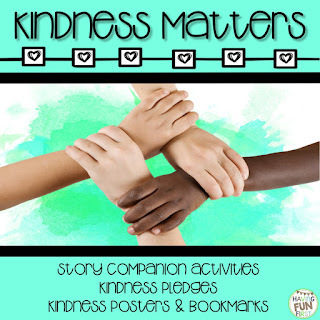 These beginning activities inspired me to keep explicitly teaching kindness through various texts and other activities. 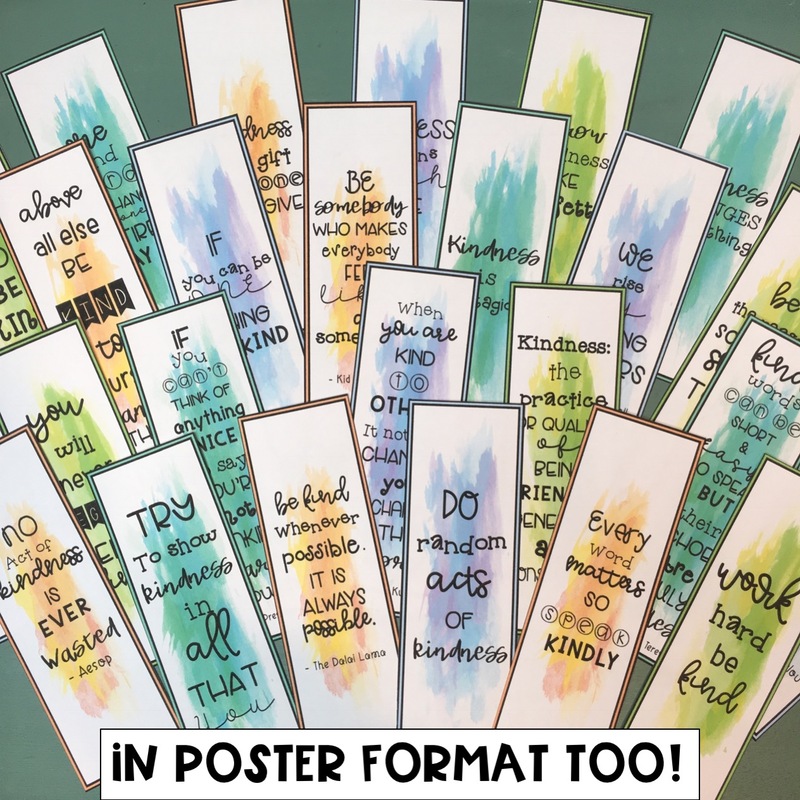 I even made my kiddos inspirational bookmarks with words of compassion and kindness quotes from famous people. They love them! My kids have loved it and so have I. It is absolutely one of the more powerful things I have done in my room. 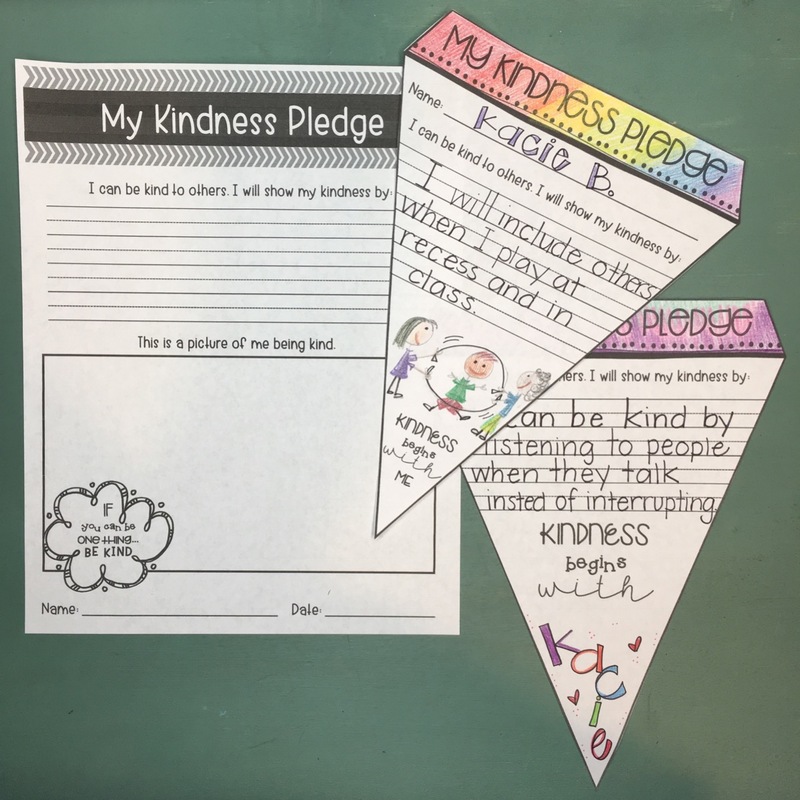 Next we will be making our kindness pledges to display for all to see and hopefully inspiring others. If you want to check out the activities I did you can visit my store by clicking the images below. 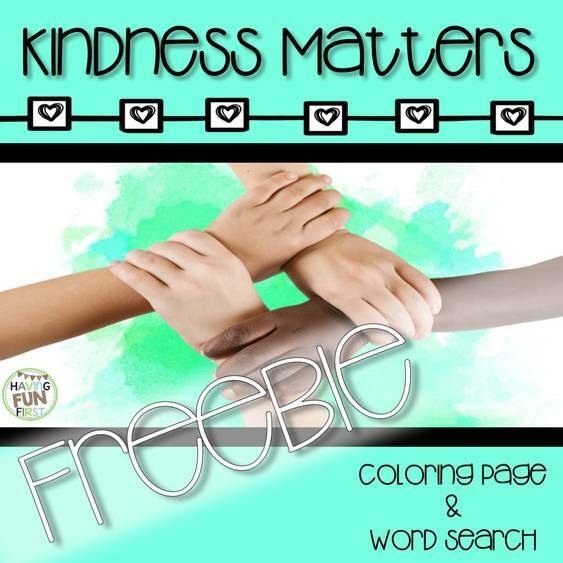 There is also a kindness FREEBIE! I hope that it has the same impact on your kiddos and classroom.